Let There Be Night is a collection of resources—videos, activities, songs, images, a website, and more—for dark sky advocates, with emphasis on supporting the annual Globe at Night campaign in March. In preparation for the community-wide science experiment, the Let There Be Night team created new material, activities, and lessons to introduce outdoor lighting issues and solutions to the students and the greater community alike. The team also gathered existing resources, then combined the content onto a 2-DVD set, which it is distributing to international and U.S. planetariums as funding becomes available. 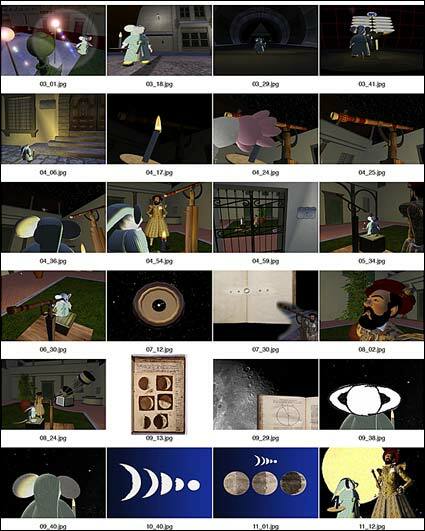 To produce the Let There Be Night segment, the team captured video of two avatars, or animated figures, having dialogue on Second Life, a 3D online virtual world. Two featured scenes include a recreation of the courtyard in Galileo’s villa in Arcetri, near Florence, and a modern urban street scene with examples of good and poor outdoor lighting applications. In the latter setting, Second Life visitors can alter the lighting to see the impact of their action on the night environment. You can visit both scenes at Astronomy 2009 Island, the centerpiece for IYA2009 in Second Life. Details of the Let There Be Night project are at http://www.LetThereBeNight.com. Figure 1. 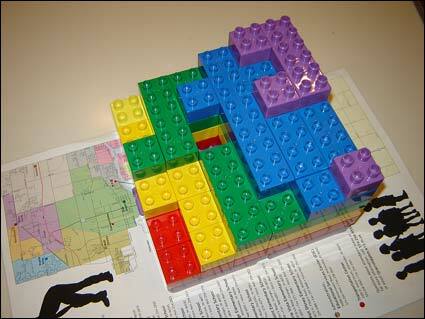 A 3D model made of LEGO® blocks will convey how much of the night sky is already lost. Plotted on a map, the stack with purple on top represents areas with dark skies; the red represents light polluted skies. 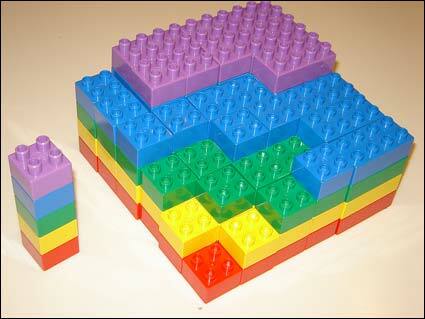 What has been removed below the level of the purple represents what has been lost. Figure 2. 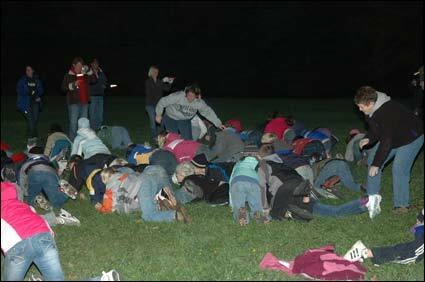 Simulating sea turtle hatchlings dashing for the water, students scramble on their knees and elbows toward lights as teachers prey on the turtles. Figure 3. 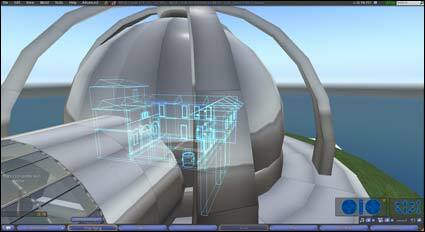 Within a structure at Astronomy Island 2009 in Second Life, avatars can visit either Galileo’s villa or a modern street scene. Figure 4. 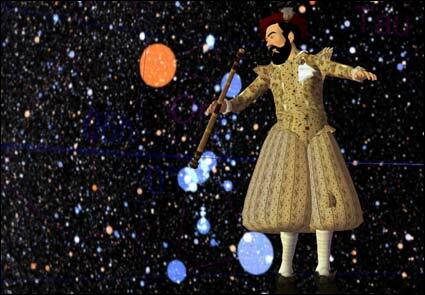 The Galileo avatar holds his showpiece telescope with the exaggerated stars of Orion in the background. Figure 5. 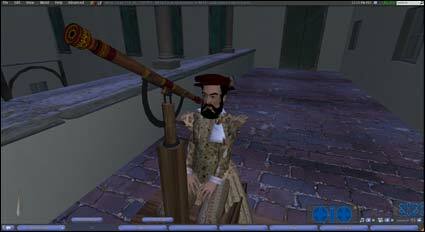 The Galileo avatar views through his telescope from the balcony of his villa in Second Life. Figure 6. 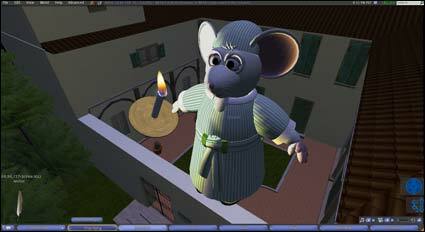 A mouse from the 21st century visits Galileo in his villa courtyard in Second Life. Figure 7. 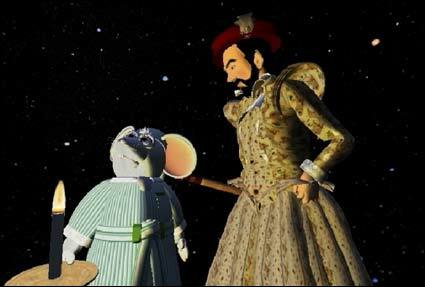 Two avatars, Hypatia and Galileo, discuss astronomical discoveries and the implications of light pollution. Figure 8. Images excerpted from the Let There Be Night presentation are available on the DVD.